Well+Good editors have seen the future, and it’s illuminated by salt lamps, warmed by faux sheepskin rugs, and smells like Palo Santo. Our homes are becoming the new heart of wellness—it’s no longer something that just happens in fitness studios and juice bars. 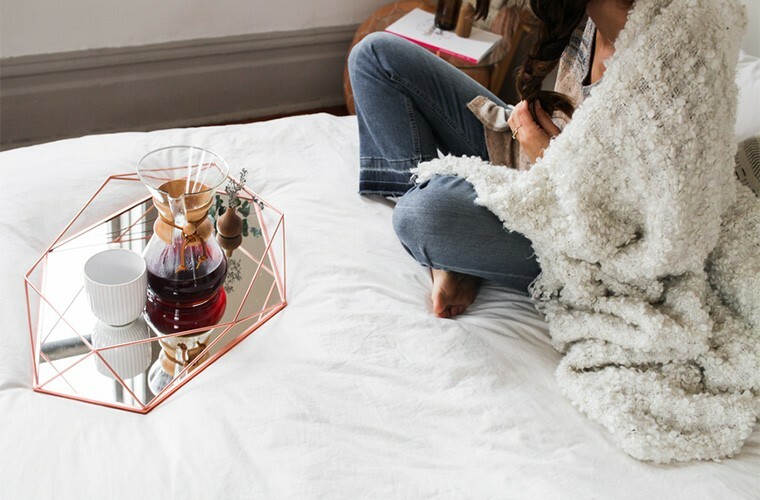 For this W+G Talk, we’ll be exploring the style components of healthier living spaces, from crystals and plants to home cleaning products and mattresses (both exploding categories) that provide the same level of transparency as people want from their food and skin care. Joined by wellness and design experts who will explain the intersection of wellness and the home, they’ll share how to next-level your space. You’ll learn tangible tips for styling your wellness sanctuary from conscious designer Shelly Lynch-Sparks (who created the the MNDFL meditation studios), healthy home detox pointers from Sophia Gushee (like a super vital WiFi kill switch), and practices to spiritually cleanse your space from Deborah Hanekamp (AKA Mama Medicine). Whether it be the soul-calming escape she created at MNDFL meditation studios or the meditation room inside Rent The Runways headquarters, Shelly Lynch-Sparks is known for crafting elevated and unique experiences in every space she designs. After graduating from Parson’s the New School and working for some of the best interior design firms in New York City, Shelly founded her own firm—HYPHEN—a collaborative, inventive, and thoughtful interior design company. Well+Good Council Member Sophia Gushée shares her expertise in her critically acclaimed book A to Z of D-Toxing, through her multimedia company Practical Nontoxic Living, and in her actionable home detox program The Ultimate 21-Day Detox. Having left her successful career in investment management to study toxic exposures from household products, she is an expert in creating a nontoxic home. Deborah Hanekamp—or Mama Medicine as you might know her—hosts medicine reading ceremonies in her calming Soho, NYC studio space that have garnered her tens of thousands of global followers. Incorporating her experience as a yogini, reiki master, and initiated Amazonian shaman, she prescribes ritual baths (with flowers, crystals, and herbs), which along with her unique aesthetic and soothing demeanor have made her a wellness expert to follow. Melisse is responsible for spearheading Well+Good’s best-in-class content and mission. She oversees the two-time Webby Award winning team of wellness journalists and content experts. Melisse is a nationally recognized expert on wellness, natural beauty, and digital media, and has been featured as an industry expert on CBS This Morning, Forbes.com, the New York Times, and more.